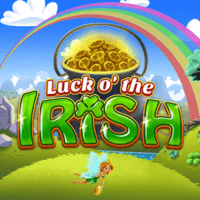 Twelve40 has released a new instant win title, The Luck o’ the Irish. The classic tale of the hunt for a pot of gold takes place in the lush green pastures of the lucky leprechaun’s homeland, with local fairies offering temptation in the form of golden coins. To stand a chance of claiming the fabled treasure, players must match pairs of Irish-themed symbols and characters to create winning lines. Pots of gold will also come to life to prompt the player to make the right decision. The game is available in multiple currencies and languages, and comes complete with immersive graphics and a dynamic soundtrack. Twelve40 has continued to enhance its platform with a series of landmark agreements, penning recent deals to integrate VSoftCo virtuals and Wazdan video slots.